Outside the Box: Thank You! 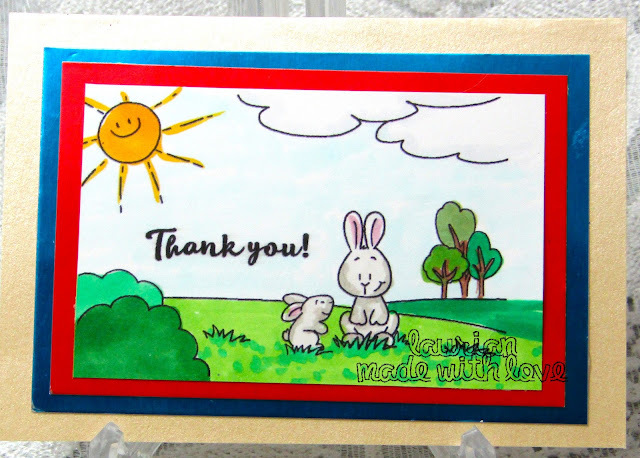 This cute card is the progressive digi for this month from Gerda Steiner and how cute is this! What a cute image and the perfect thank you card! I coloured the image with Copics and layered it up with some pretty mirri card. Come on over to GSD stamps. and join in the fun!